was born in 1976. From 1995 to 2001, Michael Barth studied chemistry at the Ludwig-Maximilian-University in Munich. Along with traditional areas of focus such as organic, inorganic and physical chemistry, other focal points of his studies were in the fields of biochemistry, pharmacology and toxicology. He wrote his diploma and doctoral dissertations in the field of transition metal-sugar-complexes at the Department of Bioinorganic and Complex Chemistry under Prof. Dr. Peter Klüfers. Dr. Barth has been active in the protection of intellectual property rights since 2006. He absolved a large part of his patent attorney training in one of Munich’s leading, tradition-steeped law firms and was admitted to practice as a German and European Patent Attorney in 2011. From 2008 to 2015, Mr. Barth worked for a renowned mid-sized patent firm based in Munich where during this time, he was able to gain experience in all core areas concerning the protection of intellectual property. 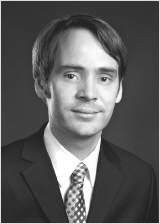 During his career in intellectual property law, Michael Barth assisted numerous companies, mainly in the fields of homogeneous and heterogeneous catalysis, accumulators, semiconductor chips, inorganic and organic light diodes, molecular chemistry, polymer chemistry, lithography, medical engineering, pharmaceutics, chromatography, biotechnological processes, sanitary products and adsorbents. He joined the firm in 2015 and became a full partner as of 2018.